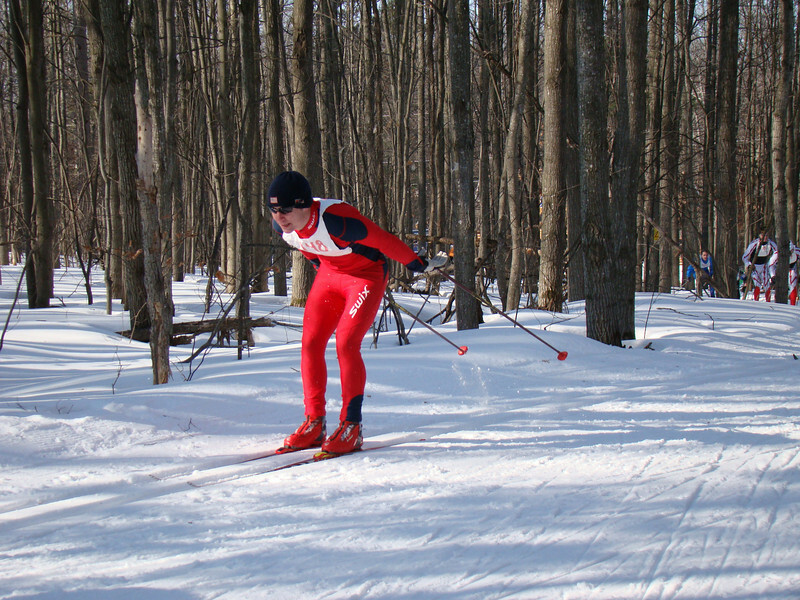 The Michigan Cup Relays took place on Saturday, March 14 under beautiful sunny skis. Temperatures started in the high 20's and were rising. For the 1st leg of the relays - the classic leg - many of the lead skiers simply doublepoled the entire 4 Km course, including up the steeper hills. Ryan Halstead was running in second.